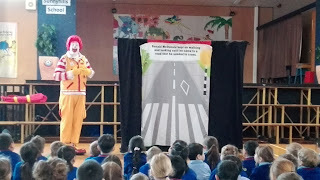 Ronald McDonald came to Sunnyhills today to talk to us about road safety. 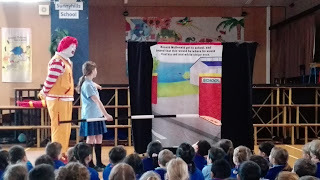 We learnt about fastening our seatbelts, walking on the house side of the footpath, crossing sneaky driveways and crossing roads. It was a lot of fun. 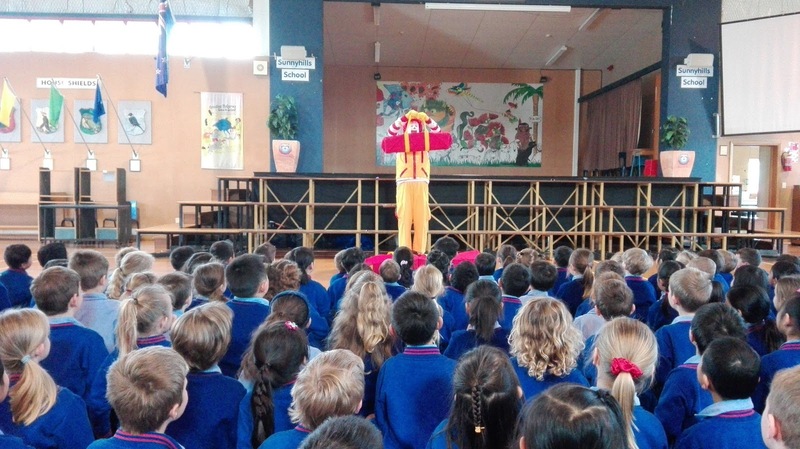 Mrs Rinckes had to read the story. She was amazing! Seems they had fun learning such important things. 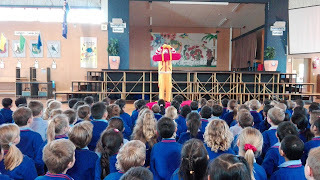 Aayush was super enthusiastic to tell me about it and made me go to this blog to see these amazing pics. Room 20 here. 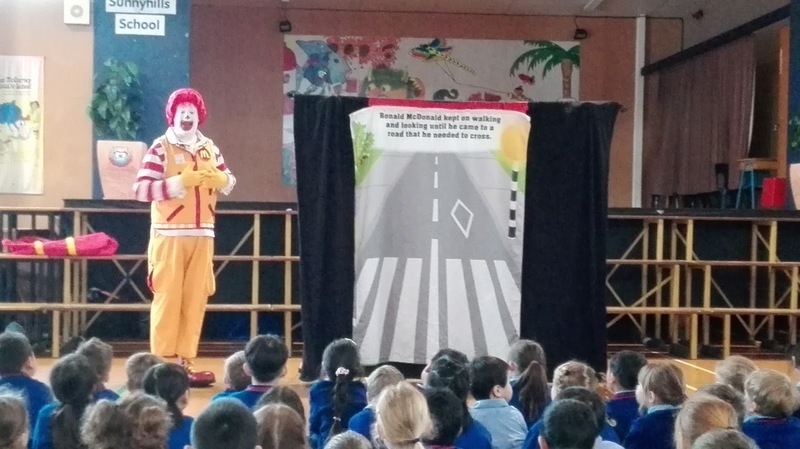 We can remember learning how to cross the road with Constable Hotter. Don't forget to hold hands with an adult. Great Pictures R13. Thank you Room 20. We enjoyed learning about crossing the road safely. Ronald taught us a lot.